So I’m still working on this Christmas Quilt, but I had to take a break from sewing to paint a garage door, and caulk some windows. I finally got back to it, and I made some good progress on it tonight. However, tonight, I am already in bed and under a blanket. I also realized that I have never made a quilt for myself, so that is coming up soon! These are some scrap blocks that I’m currently working on. No idea what I’m doing with them yet. You could easily make a sampler with those blocks…it would be great. 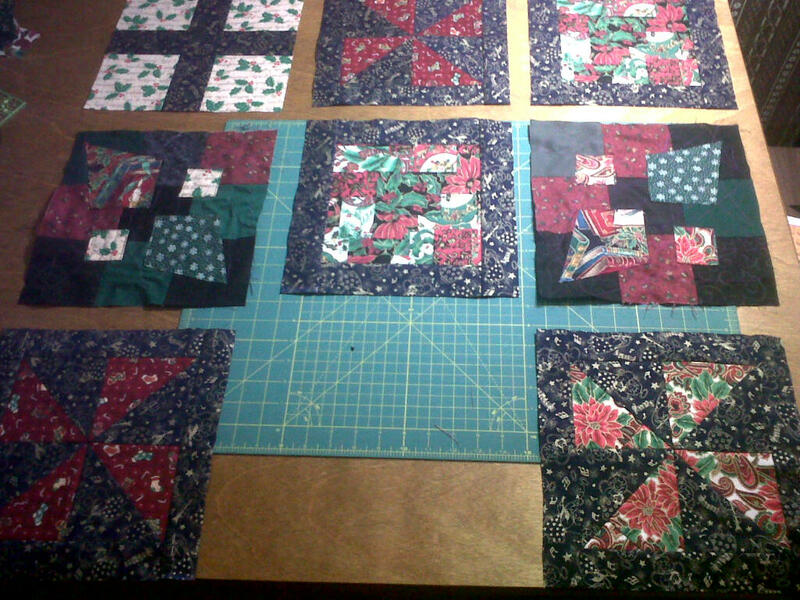 I just want to make 4 more block, so it’s 3 by 4. Hopefully, I’ll finish the top after work today! Fingers crossed!